TOKYO (Sputnik) - Japanese Prime Minister Shinzo Abe will not change plans regarding his visit to Russia due to the recent earthquake in Hokkaido, Japanese Chief Cabinet Secretary Yoshihide Suga said on Thursday. "Now we are not talking about changes," Suga said as quoted by the Kyodo news agency. 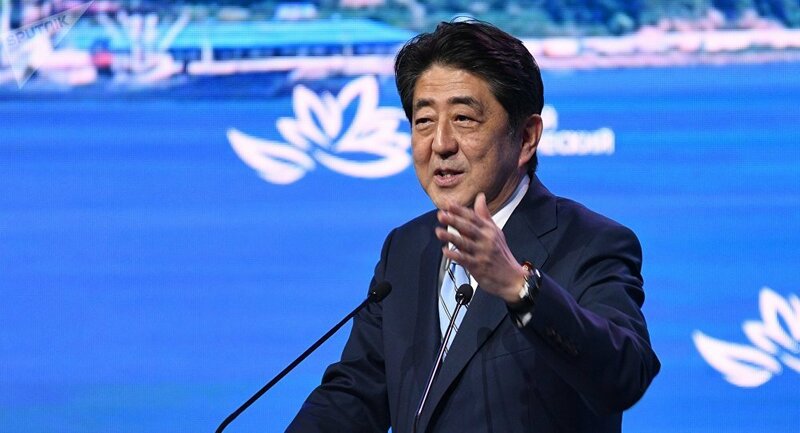 Shinzo Abe is scheduled to visit Russia on September 10-13 during the Eastern Economic Forum (EEF) and hold talks with Russian President Vladimir Putin. The Governor of Hokkaido, Harumi Takahashi, canceled her visit to Russia's Sakhalin, which was scheduled for September 6-8, because of the earthquake, the governor administration's international department told Sputnik. "The visit to Sakhalin has been canceled because of the need to take action in connection with the earthquake in Hokkaido, so far only it is known that in such circumstances the visit is impossible. We can only say about the new terms of the visit so far that they will be agreed upon later," the administration spokesperson said. A magnitude 6.7 earthquake was registered at 18:08 GMT Wednesday some 67 kilometers (42 miles) from the city of Sapporo on Hokkaido Island. Two people were killed and 125 people were injured in the earthquake, another 39 are missing. New Chitose airport was closed, with all flights canceled. The blackout caused by the quake affected almost 3 million homes and 80 hospitals. Hospitals have been switched to an autonomous power supply mode, some of them stopped receiving patients.